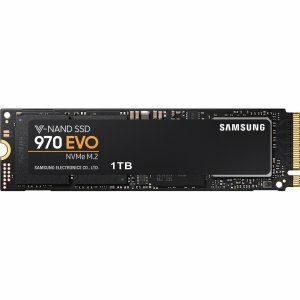 Amazon.com offers the Samsung 970 EVO 1TB M.2 PCIe SSD for $227.99. B&H and Newegg has the same offer. Features: Up to 3.4GB/s Sequential Read and 2.3GB/s Sequential Write speed; Up to 370k IOPS Random Read and 450k IOPS Random Write speed; Samsung Phoenix controller, Samsung 3D V-NAND; 5 Year Limited Warranty.